Most people would want to invest so that they can have something more than their active income can earn or how much they are getting now. Investing is most often considered as a gamble, or better yet, a game of chance. After all, you get what you would normally seed or invest, just like the saying, “You reap what you sow.” Perhaps if you are really interested and can’t wait to invest, you can have a look at this page’s Sample Agreements for free as a guide or as a reference toward your investing journey. 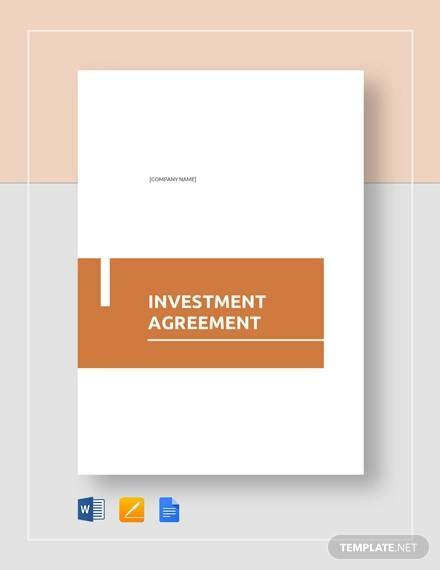 Stock Purchase Agreement – this is probably the simplest among the different types of investment arrangements there is. 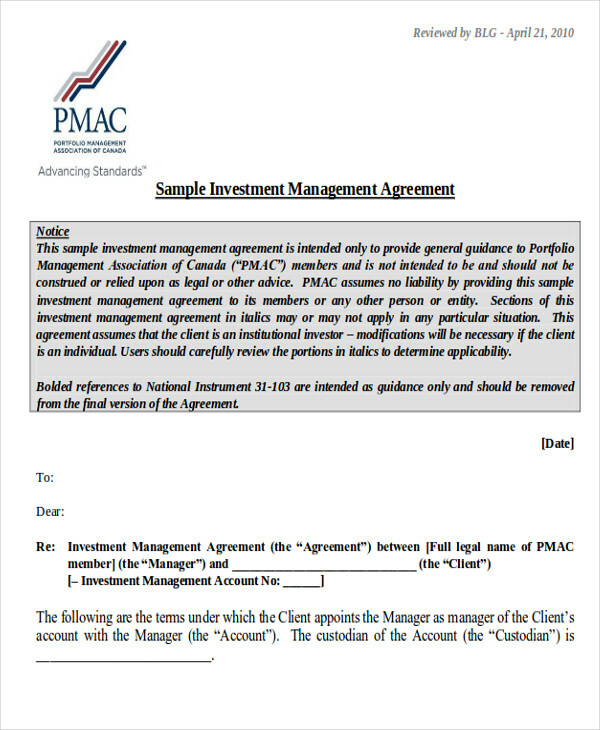 Basically, this type of agreement just works like you are trading in the stock market; you exchange the money for stocks but with more paperwork since the company is not publicly traded. 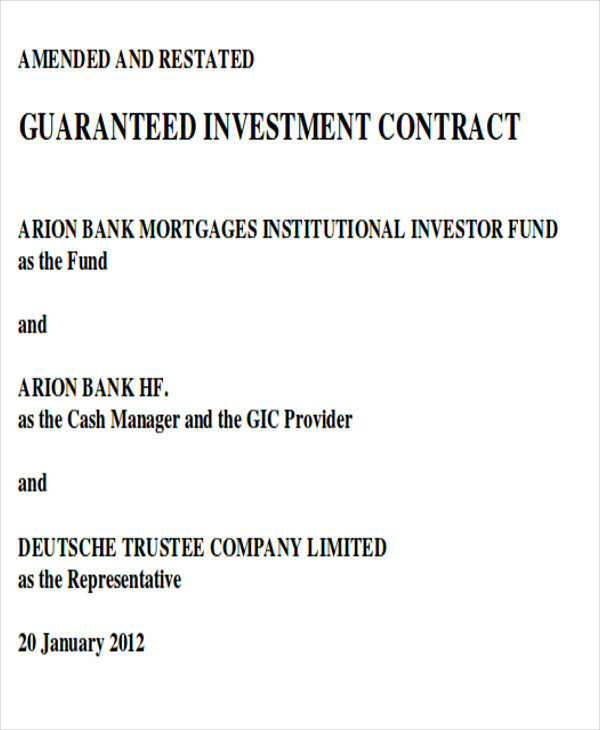 Non-Statutory Stock Option Agreement – this is also known as the non-qualified stock options agreements. According to Law Plus Plus, a stock option is the ability to purchase stock later at a price set at the beginning. The catch is the more profit you get once the value of the company increases. 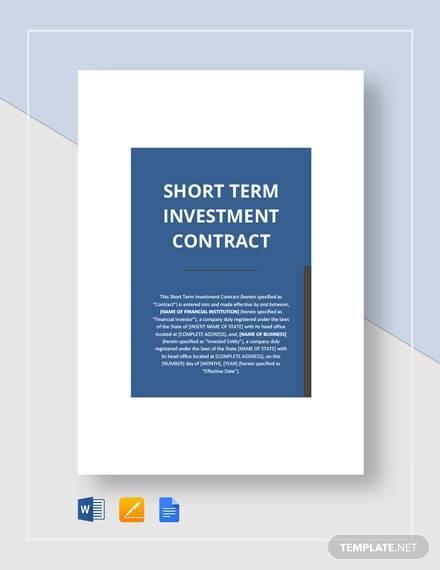 Statutory Stock Option Agreement – this type of investment agreement is also called as the incentive stock option or the qualified stock options as opposed to the non-statutory stock option agreement. 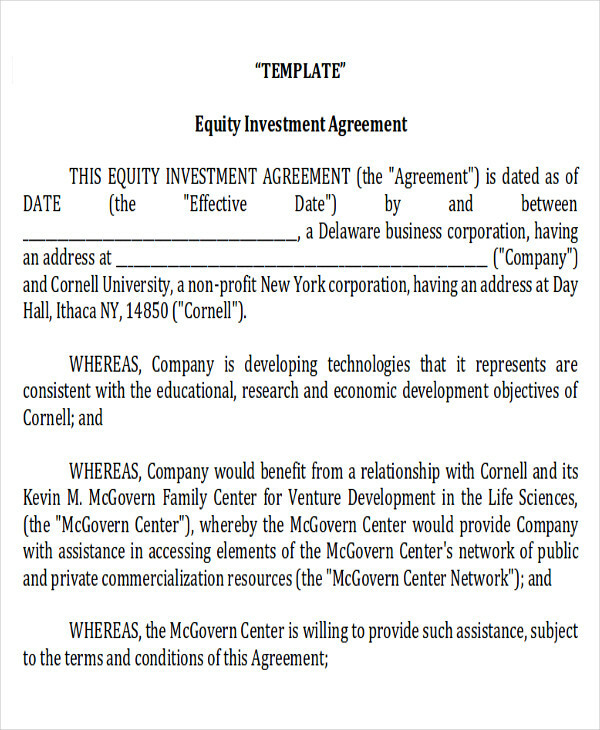 Also, these types of investment agreement is only available to the company’s employees as well as LLCs. 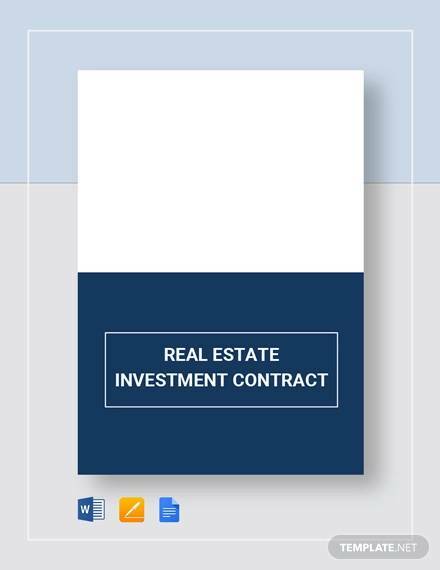 This type of investment type has been strictly regulated by the IRS and is recommended that the market price of its stocks is determined by a third party. 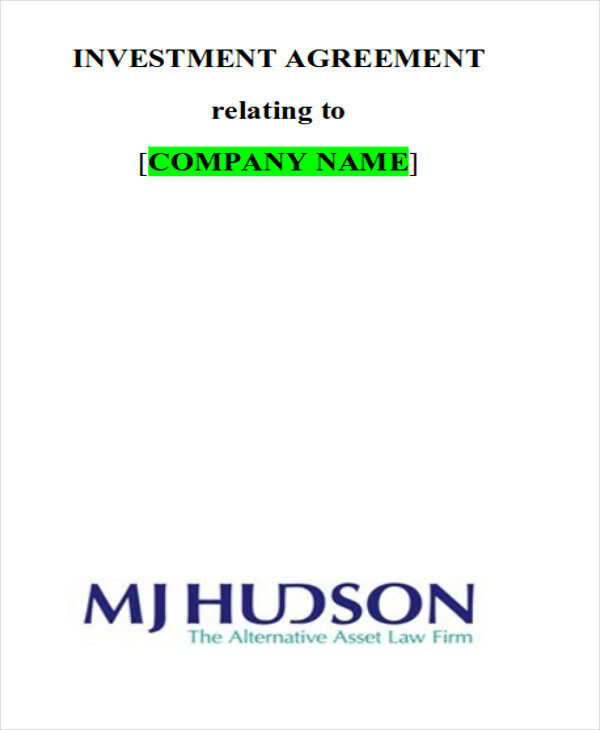 Convertible Debt Agreement – this is probably the most creative type of investment agreement there is, since it would start as an investor loaning or lending money or capital to a business entity, a company, or a certain individual who does business. Over time, the debt or the loan can be later repaid by an interest of ownership in the company. Royalty, Commission, or Percent of Revenue – this type of investment is common with those who do not want to own the company—they just want to own the profits of the company. 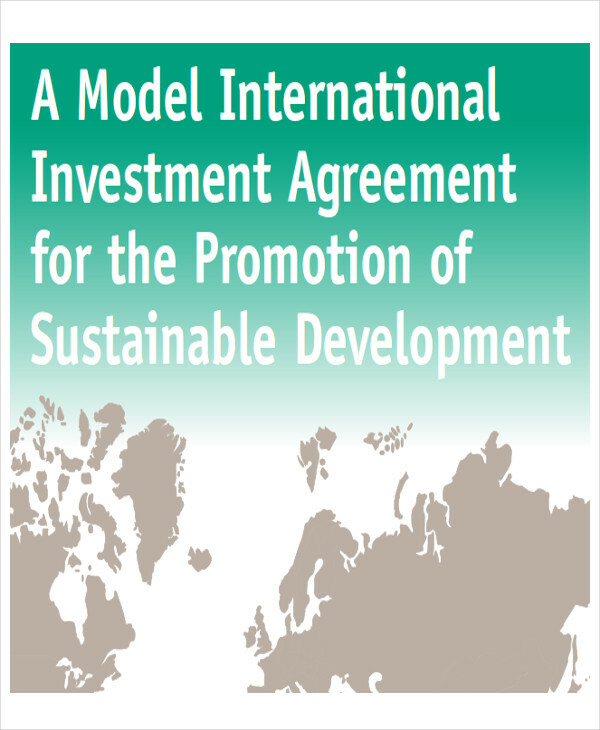 There are such agreements used for you to receive such investment agreements. They are called commission agreements or profits interests. 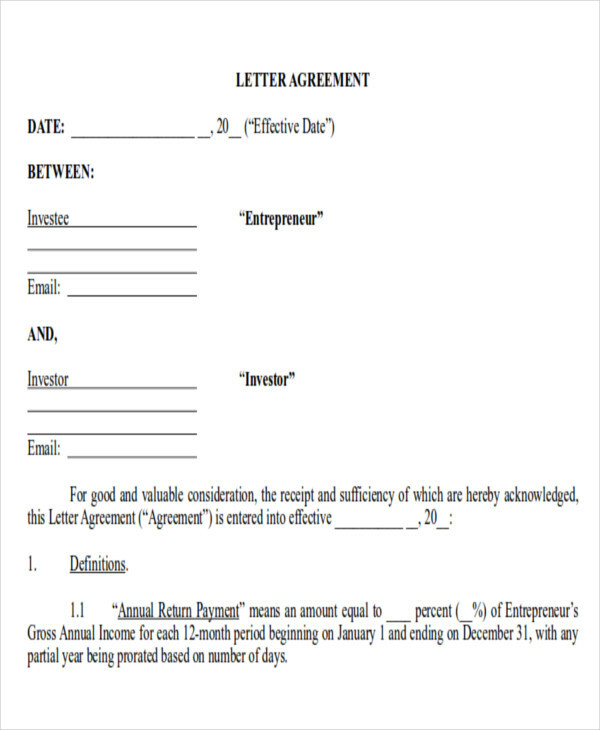 You can also check out this page’s Rental Agreement Contracts, which you may find useful.